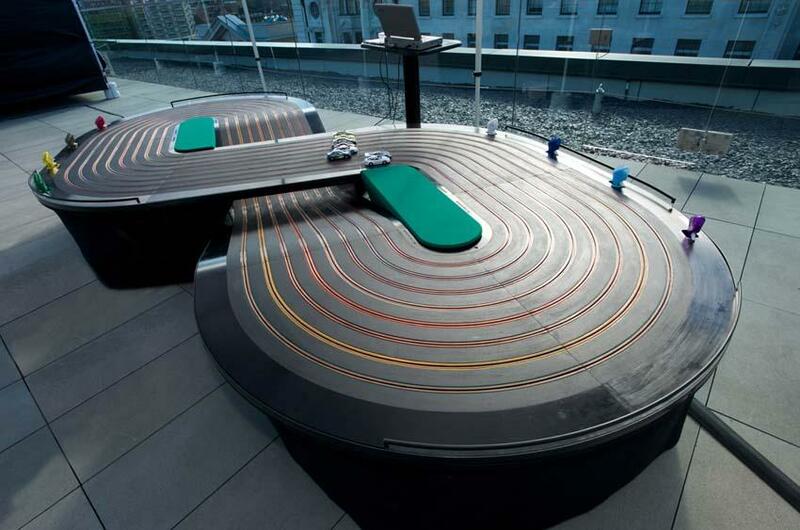 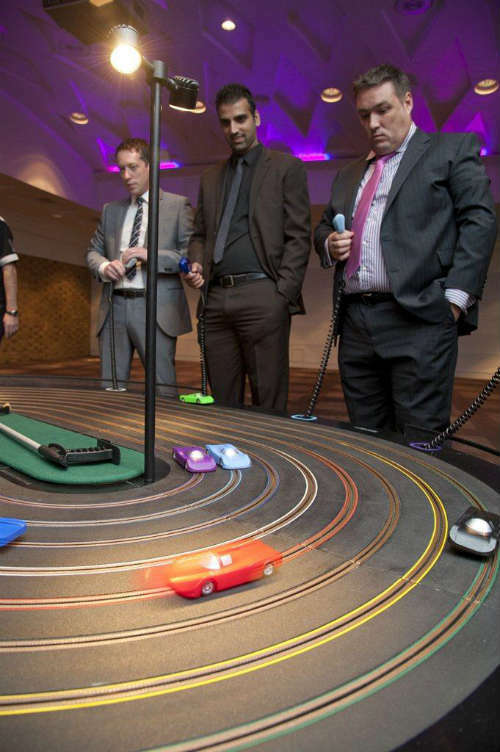 For the ultimate in slot car racing the 8 lane scalextric track features a computerised start and timing system and comes fully staffed with 2 track marshals. 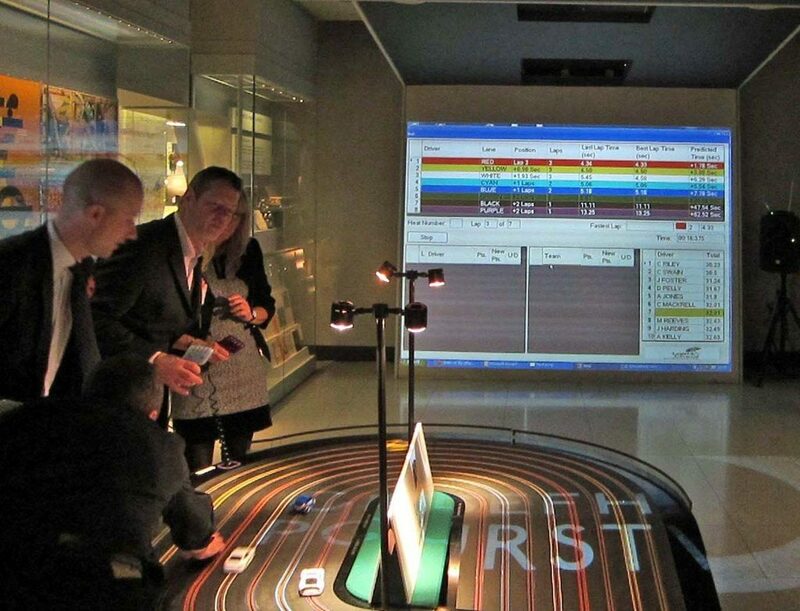 The computer system generates leader boards and full scoring for individual and team competitions. 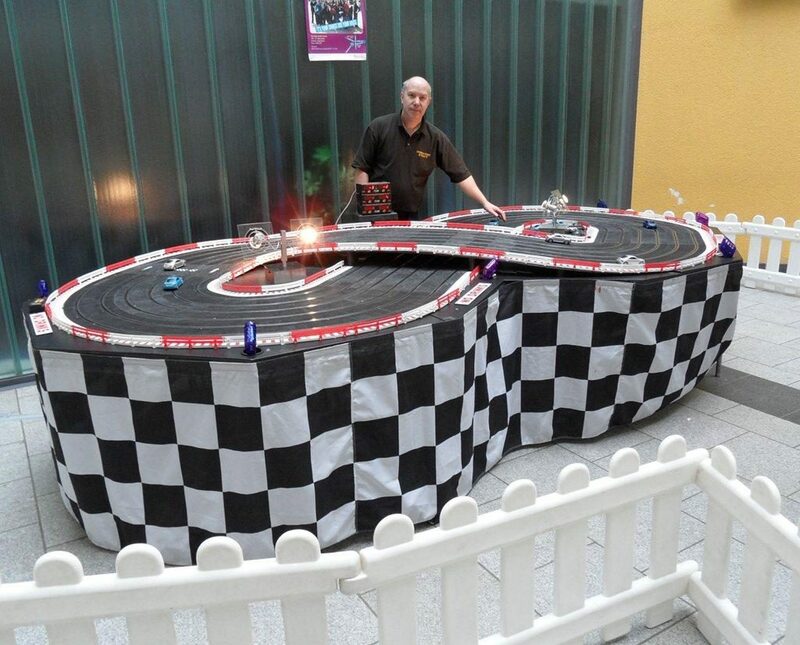 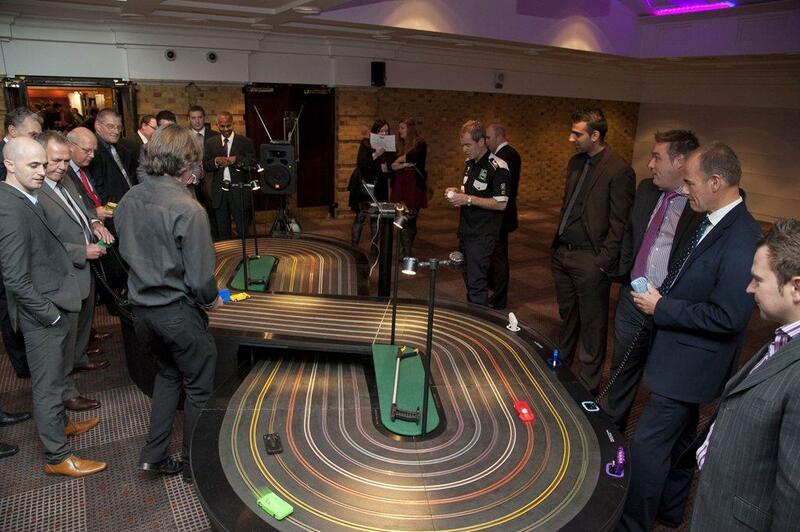 The 8-Lane Scalextric package can include; for outdoor a 6m by 3m marquee can also be supplied to cover the track, large screen display of the start and leader board, theming with chequered flags and bunting. 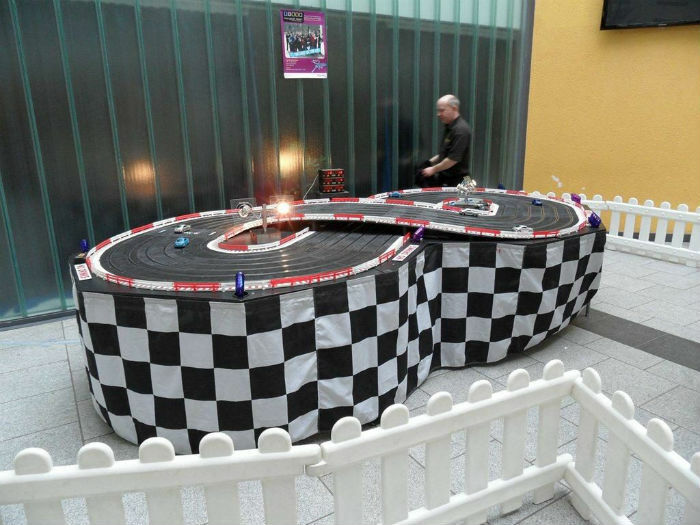 Scalextric Track dimensions are 4.5m x 2.1m, in a figure of eight. Standard hire time is 3 hours.